After reaching home, Linze showered just like usual, and after showering, he laid on his bed. But no matter how long Linze waited, he didn't receive Xu Yanyan's call. By estimation according to the time yesterday, Xu Yanyan should have currently already be at home. From a concerned for Xu Yanyan's perspective, Linze sent a message over to Xu Yanyan. Just when Linze was thinking on how long this message would be taking before it would garner a reply in return, very quickly a response arrived. After seeing that message, Linze felt relieved. 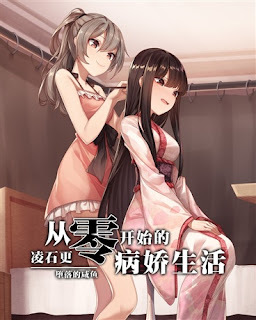 After all, such a delicate girl as like Xu Yanyan, if she didn't let him know that she had arrived home safely, Linze would still be in the state of worry. Linze in passing sent a text message in response to Xu Yanyan. Very quickly, Xu Yanyan sent over a message. After seeing that text of message, Linze felt that Xu Yanyan's guess was rather accurate. If it wasn't due to Hanying's involvement, he wouldn't be having an in-depth discussion with Yan Yebo the next day too. Hence without thinking, Linze replied a text to Xu Yanyan. Very quickly, his phone gave off a quiver, and from the conversation text box came over Xu Yanyan's response. After seeing that puzzling text, Linze was a little confused by Xu Yanyan's meaning. Perhaps it was because he didn't choose to accompany Yanyan, which was why right now, she probably felt to be a little lonely. Linze's current mind felt a little apologetic, while at the same time readied thoughts to invite Xu Yanyan out next Monday. But Linze afterwards didn't ponder too much over it, and in a blink of an eye he placed the matter about Xu Yanyan aside. He took a tablet that was lying by his bedside and started surfing the web, and at a certain renowned online shopping website, started making comparisons plus attempted to buy a【drawing tablet】, a rudimentary computer drawing tool. While at the same time started to check on some recommended drawing tablet brands on the net, as well as a few important notices when purchasing drawing tablets. That night, Linze eventually didn't decide onto purchasing any such model of a drawing tablet. Since he would be going to Yan Yebo's house today, Linze felt that with regards to the model purchase of a drawing board, he could listen to the opinions of his good buddy. As Linze was reading various sorts of articles all the way till 12 midnight yesterday, it made him feel a little terrible after waking up at 6 in the morning, and he looked to be slightly fatigued upon reaching school. After having seated at his seat, Linze gave off a large yawn. Yan Yebo at that moment came by the right side of Linze, he used his right hand to fiercely pat onto Linze's back. Linze replied to Yan Yebo's query. Very quickly, today lesson ended, and in order to let Hanying understand his sincerity, Linze hence chose to pull Hanying out to have a chat whenever there's time available. Linze also went on sticking by Hangyin's sides, all the way till after school had ended. The after-school Yan Yebo had already decided to go on home first. According to him, he's going to pack up his house as well as go buy a couple of delicious eats to welcome Linze. Hence, Linze was currently together with Hangyin, just like as if they were a couple as they went out of the school building, walking over towards the school gates. Currently, Linze's hands were carrying two bags. Hanying currently had a slight grimace to her tone as she said towards Linze. As he said that, Linze immediately returned the bag held in his hands to Hanying. Facing against Hanying's slightly sternish tone, Linze wasn't the least bit mad at all, but instead was extremely thankful towards Hanying. After Hanying softly said out those words with a slight complex tone therein, she turned around and left. Having parted ways with Hanying by the school gates, looking at the shadowy figure of the distant Hanying, Linze gave off a slight heave before heading off home. Although Linze didn't know whether his actions carried out towards Hanying today was right or wrong, it's fine since Hanying at the very least was able to feel onto his sincerity. He went walking along a stretch of road which is a must to traverse when going to Yan Yebo's house; nobody went walking over there. Linze was about to walk past a piece of electrical pole. When his ears suddenly caught wind of a soft voice. Linze only felt a chill at his stomach region; there seemed to be something cold which smoothly went right into his body. His body also hence unnaturally gave off a jerk. The current Linze looked over behind the electrical pole, he only saw Xu Yanyan standing there. At that moment, there's a delighted smile on Xu Yanyan's face, but her eyes instead had some sort of hysteric, insane look to it. That sort of happy smile, it was like as if she had seen onto something that made her extremely ecstatic, so long as it's an expression that a normal person was able to differentiate. What's in stark contrast was Xu Yanyan's right hand. It wielded an out of place, sort of military-utilized brand new dagger. Currently the dagger was littered with fresh red blood, and those blood were currently dripping down the blade and onto the ground. 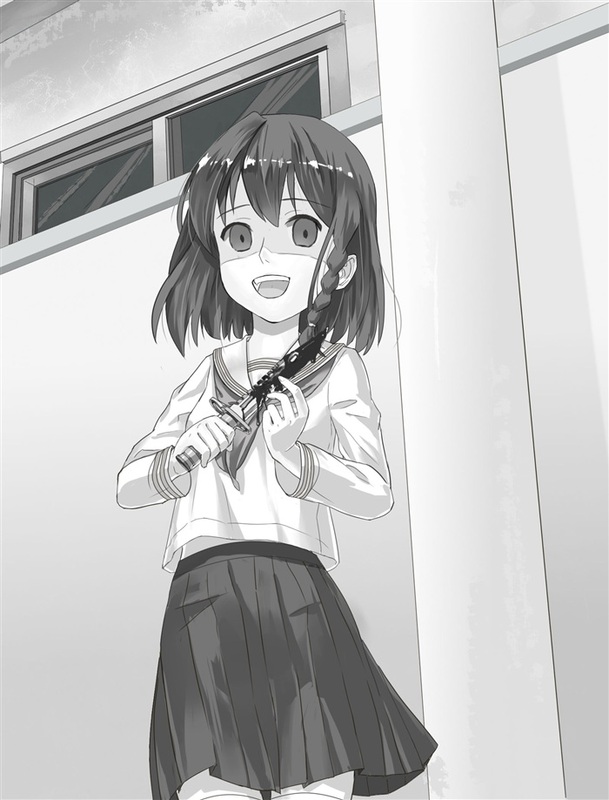 Xu Yanyan used her left hand to feel the blade in front of her. No, perhaps she was just simply touching the warmness of those blood droplets. Linze only felt his mind currently blanking out. He covered his hands at that spot where his stomach had earlier felt the chillness, for that area right now felt scorching. The hand that was covering that region felt lots of warmness and fresh redness. Pain at that moment had sluggishly reached Linze's brain, and because of the sudden turbulence of agony, he instantaneously fell towards his back and onto the ground. Xu Yanyan looked condescendingly upon the collapsed and painfully struggling Linze, who was currently pressing onto the bloody puncture at his abdomen. Xu Yanyan at that moment opened up her mouth and said towards Linze. Currently, due to that excruciatingly deep-rooted pain onto his stomach, Linze had almost went into a state of painful unconsciousness, not being able to hear clearly what Xu Yanyan had said at all. But there's a point which Linze was absolutely certain, and that was he's not sure on why Xu Yanyan was currently trying to kill him. If he didn't go on to do anything at all, his life would be in danger. Linze's current mind was in a state of chaos; he could only rely upon his instincts to draw in strength from his entire body and had started to scream for help. Plus he begun to use his hands and feet, to slowly drag his body backwards by the ground, only wanting to distance himself further away from Xu Yanyan. What kind of a joke is this, I don't want to die here. The current Linze didn't care about what image he had anymore; saliva, tears and mucus all had dripped out. That was Linze's final memory, and after hearing Xu Yanyan saying it as such, there seemed to be a cold chilly object scraping past his neck. If Linze didn't guess it wrongly, that seemed to represent his entire head being sliced off. Afterwards, Linze's thoughts ended. Neither in fear nor being terrified. btw who are the girls on the cover? Lol, his dad would be proud. @Blaze, I guess it's that part in me thats dying to share good stuff with the world...but i see your point there. I'll try to refrain! Omg Flare! Does linze have the same perk as subaru from Re:Zero?! Cause i feel like the next chapter the guy will be reborn at a certain save point!